Whenever I experience writer’s block—as one writer once told me, “you can’t force nature”—it seems to be cured (or exasperated) by binge-watching an entire season of a reality television series. I recently spent two days watching Season 1 of The Face (7 episodes) while simultaneously collecting lines from the show as potential writing material. The show is a reality TV modeling competition on The Oxygen Network that premiered in February 2013. 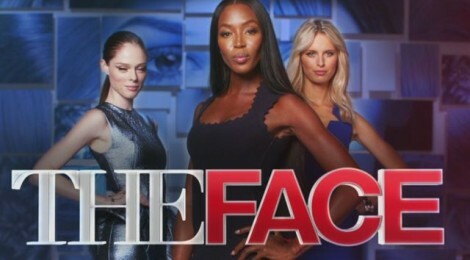 Hosted by Nigel Barker, a former judge on America’s Next Top Model, the series follows three supermodel coaches, Coco Rocha, Karolina Kurkova, and Naomi Cambell, as they compete with each other to find “the face” of ULTA beauty, a beauty retailer in the United States. For the most part, all lines in the cut-up poem appear in chronological order. Nature works in mysterious ways. Karolina Kurkova in the makeup chair. Can you believe you will have lingerie named after you? Girls, what do you think is happening today? How fast can you get an outfit on without ruining your hair and make-up? Can you see my wrinkles here? I AM OBSESSED WITH THIS! What an excellent job you have done.